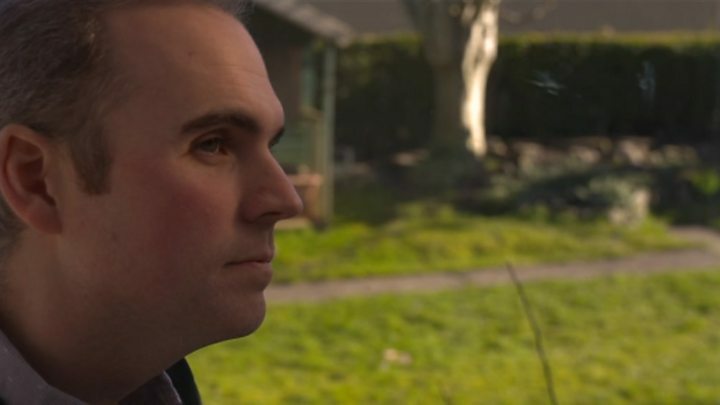 An assembly member with bowel cancer has spoken of how doctors gave him a "second chance" at life after he almost died. 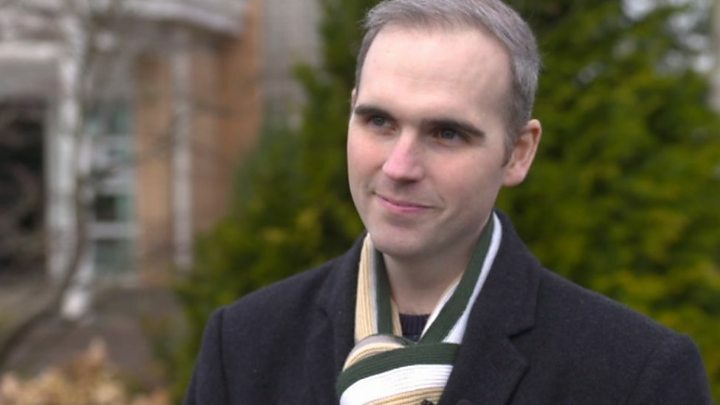 Plaid Cymru's Steffan Lewis was diagnosed with stage four cancer in December. The 34-year-old father of one thanked doctors at Velindre hospital, who saved his life when his liver started failing in February. He spoke as AMs and MPs prepare to take on a 10-mile charity walk in his name. Mr Lewis said he was "overwhelmed" by the event to raise funds for Velindre, organised by his sister as a surprise 34th birthday present. "I came very close to losing my life in February," the South East Central AM said. "My liver was failing and its only through the excellent care and expertise at Velindre Hospital that my life was saved and I've got a second chance, if you like. "So when I reflect on that period, yes, I'm very grateful I got through it and survived that experience." It is "OK to be frightened"
Mr Lewis, who at 34 is one of the youngest AMs, said lowering the age of routine screening for bowel cancer should be considered. He also called for young men to have regular health checks. "My message, especially to young men is go and get that health check with your GP," he said. "I think there might be a role for Welsh Government there to get the message out to young men in particular that early detection of cancer can mean you get to keep your life." Mr Lewis said he was 'indebted' to his 17-year-old sister Nia for organising the charity walk on 14th July. She said the family had been through a "tough time" but her brother's positivity had been a source of strength. Nia said: "My knowledge of Welsh history is quite good because Steffan took me on day trips and we have been to most castles in Wales. "I think because of that special bond I have with Steffan I've really wanted to find a way to show my appreciation and how much he inspires me daily." Welsh Conservative leader Andrew RT Davies and Labour Torfaen AM Lynne Neagle are among those taking part in the event. Velindre said the money raised would help support patients and research programmes. "His conviction and determination to represent the people in his constituency is very clear," Mr Lewis's consultant Dr Hilary Williams said. "I hope my team at Velindre can echo this commitment to passionately pursue the best possible care for our people here in Wales, whatever their age or circumstances."